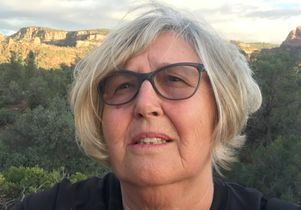 Helga Leitner, professor of geography at UCLA and an authority on migration and immigration who has studied the politics of citizenship, received the 2019 Distinguished Scholarship Honors from the American Association of Geographers. The award is given to individuals who have given significant contributions to the advancement or welfare of geography and the profession. In addition to her scholarship, Leitner was also honored for her contributions to local activism. She was also recognized for being one of the first geographers to appreciate the growing relationship between economic globalization and the competitive policies of cities. Her research on global urbanism continues to advance efforts to internationalize urban theory by challenging Eurocentric philosophies. Leitner is the recipient of the 2018 Austrian Honorary Medal for Sciences and the Arts and was elected to the research board of the Austrian Academy of Sciences in 2014.